A place to discuss Disney's technologies and how to make the most of them on your trip! By car, plane, or train -- share your tips, plans, and experiences with others! Whether you're staying at a Disney resort, or "off-property," this is the place for questions, picks and pans, and experiences. 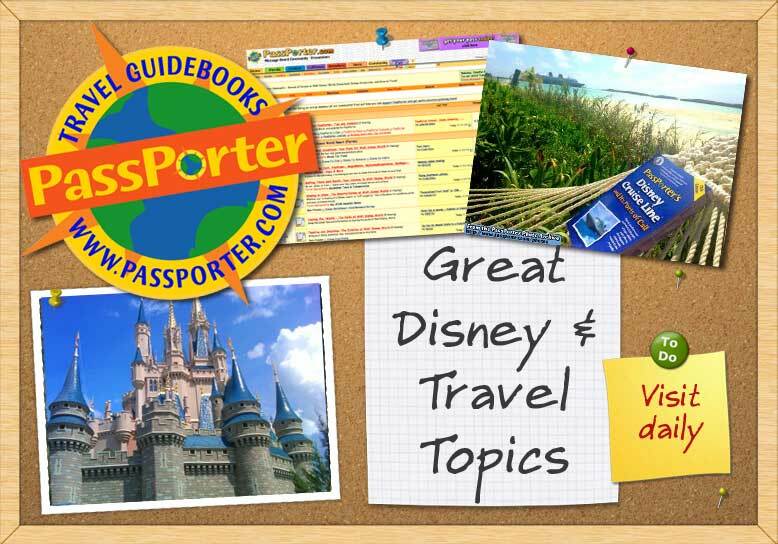 Swap the latest tips and information on touring the parks at Walt Disney World. Bring your dining questions, tips, and experiences to this table. Share your Disney Food photos with others here! Discuss tours, holidays, special occasions, childcare, and other magical opportunities. So, have you heard? Test your Walt Disney World trivia and share the latest news and rumors. Welcome home, Disney Vacation Club members! Discuss membership ins and outs here. Have you been around the "World" and back? Share your adventures with your fellow vacationers here!